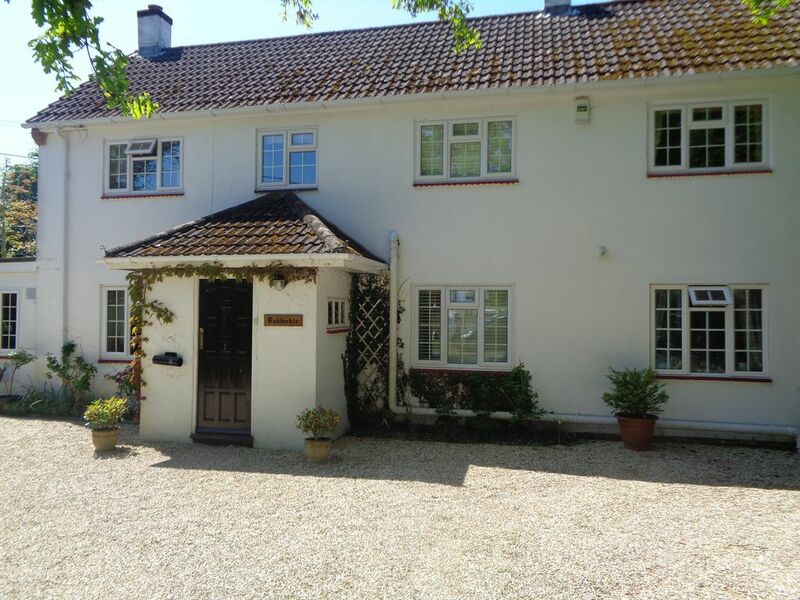 A spacious family home, providing a large, well appointed and comfortable base for a holiday in this attractive area. The garden is secluded and maintained. The open forest is in walking distance and the Solent 5 minutes drive. The ferry from Hythe to Southampton is 2 miles away as is a golf course and an excellent leisure centre. Within walking distance of the house there is a Sports complex, gym sauna badminton, tennis and swimming. Hillier Arboretum at Romsey and Exbury Gardens, home of the Rothschilds are beautiful garden Centres and places of interest as is the home of the Mountbattens at Romsey. Rudbekia was an ideal holiday location for our family. It has a large secluded garden where the children can play and the adults can sit, eat and barbecue outside if the weather permits. There was more than enough bedroom and living space for our party of six adults and three children under 7. Dibden is quite small but Hythe has good restaurants and a ferry across to Southampton that is reached by one of the oldest and longest pier trains in the UK. We used the ferry and the SeaCat from Southampton to visit the Isle of Wight for the day. Another highlight Is Lepe Country Park, 10 mins by car or 45 mins by bike. Lepe has a pebble beach, a playground and walks/cycle rides into the forest. In summary great accommodation in an excellent location for a family holiday. Pleased you were able to find the local amenities suited all the guests too. The house was all we were expecting and more. Everything we needed was there, including a garden for the children and outdoor dining/barbecue area. Places of interest, shops and restaurants are near by. Whether we wanted to stay at home in comfort or go out for adventures, there was always something to do for adults and children. Perfect for a family holiday. A wonderful home from home. We had a brilliant family holiday at Rudbeckia with 7 adults and 4 small children. The house is very spacious and well equipped and feels like a real home, unlike some holiday homes which can feel a bit sterile. The garden was a special feature being large enough for the children to romp around and for this aged grandparent to have the odd quiet moment. The location is ideal for easy access to the many New Forest attractions which we visited every day and close to supermarkets and "takeaways." We couldn't fault Rudbeckia and, to cap it all, it's surprisingly good value for a holiday let in the New Forest. We had a wonderful time at Rudbeckia. It was perfect for a large, all generation family gathering with loads of communal space. Everything was clean and even with 10 of us staying, there was always ample hot water. The garden is large and well maintained with a built in barbecue. It would be a lovely place to visit during the summer. Rudbeckia is in a very quiet setting, but within easy reach of the village amenities. We particularly enjoyed Arrosto, which does amazing Italian ice-creams and coffee. The New Forest itself is a short drive away and we enjoyed several walks and a great pub meal at The Royal Oak, Beaulieu. Would definitely recommend! As you say you look forward to a return visit in the summer. The garden is perfect for relaxing and space for children to enjoy. A trip to the sea is only a few miles away too. 2016 was the first opportunity we had to get together as a family: grandparents, and daughters with their families from Minnesota and Newcastle upon Tyne. Six adults and four children (5, 4, 3, and 2!). 'Rudbeckia' was just what we were looking for, and we were pleased that it was available for two weeks at the beginning of July. The five bedroom accommodation was fine, three doubles, and two twins. Pity that there was only one dedicated shower bathroom, but having three bathrooms and toilets was a boon for a large group such as ours. Great size kitchen with dining table for almost all of us, utility room, living room, etc. The house has a wonderful and very large sun lounge, with dining for 10, and this quickly became the playroom for the children, although they were outside in the large garden whenever the weather permitted. Rudbeckia has a great location - very secluded and quiet even though there is a large school just across the road, close to local amenities (a Tesco Express down the road) and a large Tesco 'superstore' just minutes away. Great access also to the New Forest and the coast. Rental was just what it said on the tin - all in order when we arrived. On the downside, we had a Internet connectivity problem for about a week, with essentially no access whatsoever. Now whether this was a BT fault, or we just used up the line quota since six adults were connected, I'm not sure. The dishwasher was not very efficient, and despite our best efforts, dishes emerged feeling under-washed. Apart from these two quibbles, we would recommend 'Rudbeckia' as an excellent holiday rental because of its spaciousness and location. Pity you didn't inform re the dishwasher. it does help to know problems so they can be quickly rectified. The house and location were exactly as described by the owners. The property was clean and very well maintained with a large garden for the children to play football. The conservatory was the icing on the cake being very spacious. So pleased your stay and party where a success. New Forest/National Park is on your doorstep. The National Motor Museum is at Beaulieu 2 miles away. Sailing ,windsurfing, canoe courses,dry ski slope. archery and rock climbing at Calshot. Children's activity courses available during the holidays. Historical sites at Southampton, Romsey, Winchester & Salisbury. All these cities have live theatre productions and cinemas. Cycle tracks in the forest. Day trips to the Isle of Wight from Lymington and Southampton.